Currently there is witch hunt under way to get rid of excessive compensation levels, especially in the financial and banking industries. Members of Congress and their constituents are looking to reign in the exorbitant paychecks distributed to the fat-cat executives at the likes of Goldman Sachs, Bank of America and the rest of the banking field. According to The Financial Times, Goldman has set aside $16.7 billion so far this year for compensation and benefits and pay is on track to meet or exceed the $661,000 employee average in 2007. The public is effectively calling these executive bankers “cheaters” because they are receiving benefits they don’t deserve. The backlash resembles the finger-pointing we see directed at the wealthy steroid abusers in football or cork-bat swingers in baseball. Americans seem OK with big payouts as long as they are achieved in a fair manner. No one quibbles with the billions made by Bill Gates or Warren Buffett, but when you speak of other wealth cheaters like Jeff Skilling (Enron), Bernie Ebbers (WorldCom), or Dennis Kozlowski (Tyco), then the public cringes. The reaction to corporate crooks is similar to the response provoked by steroid use allegations tied to Major League Baseball players (i.e., Barry Bonds and Roger Clemens). Less clear are the cases in which cheaters take advantage of a system run by regulators (referees) who are looking the other way or have inadequate rules/procedures in place to monitor the players. Take for example the outrage over $165 million in bonuses paid to the controversial AIG employees of the Financial Products division. Should AIG employees suffer due to lax rules and oversight by regulators? There has been no implication of illegal behavior conducted by AIG, so why should employees be punished via bonus recaptures? The rules in place allowed AIG to issue these lucrative Credit Default Swap (CDS) products (read more about CDS) with inadequate capital requirements and controls, so AIG was not shy in exploiting this lack of oversight. Rule stretchers and breakers are found in all professions. For example, Lester Hayes, famed All-Pro cornerback from the Oakland Raiders, used excessive “Stickum” (hand glue) to give himself an advantage in covering his opponents. If professionals legally operate within the rules provided, then punishments and witch hunts should be ceased. Regulators, or league officials in sports, need to establish rules and police the players. Retroactively changing the rules after the game is over is not the proper thing to do. 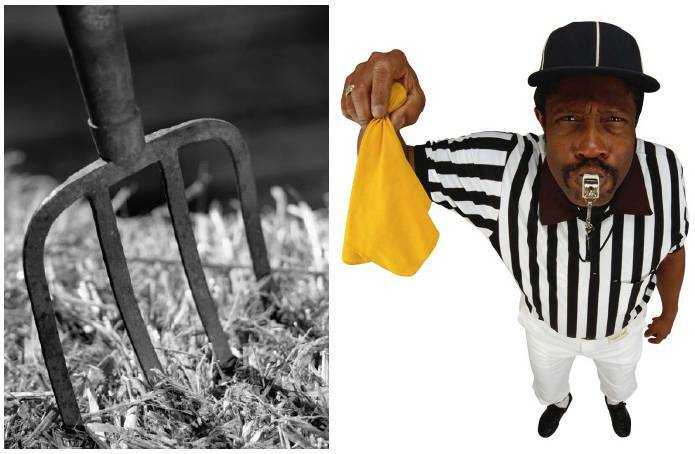 What the industry referees need is not pitchforks, but rather some yellow flags and a pair of clear glasses to oversee fair play. What should regulators and the government do when it comes to compensation? Simply let the “cash givers” make the rules. In the case of companies trading in the global financial markets, the shareholders should drive the rules and regulations of compensation. “Say on pay” seems reasonable to me and has already gained more traction in the U.K. On the other hand, if shareholders don’t want to vote on pay and feel more comfortable in voting for independent board members on a compensation committee, then that’s fine by me as well. If worse comes to worse, shareholders can always sell shares in those companies that they feel institute excessive compensation plans. At the end of the day, investors are primarily looking for companies whose goal it is to maximize earnings and cash flows – if compensation plans in place operate against this goal, then shareholders should have a say. When it comes to government controlled entities like AIG or Citigroup, the cash givers (i.e., the government) should claim their pound of flesh. For instance, Kenneth Feinberg, the Treasury official in charge of setting compensation at bailed-out companies, decided to cut compensation across the board at American International Group, Citigroup, Bank of America, General Motors, GMAC , Chrysler, and Chrysler Financial for top executives by more than 90% and overall pay by approximately 50%. In my view, too much emphasis is being put on executive pay. Capital eventually migrates to the areas where it is treated best, so for companies that are taking on excessive risk and using excessive compensation will find it difficult to raise capital and grow profits, thereby leading to lower share prices – all else equal. Government’s job is to partner with private regulators to foster an environment of transparency and adequate risk controls, so investors and shareholders can allocate their capital to the true innovators and high-profit potential companies. Too big to fail companies, like AIG with hundreds of subsidiaries operating in over 100 countries, should not be able to hide under the veil of complexity. Even in hairy, convoluted multi-nationals like AIG, half a trillion CDS exposure risks need to be adequately monitored and disclosed for investors. That why regulators need to take a page from other perfectly functioning derivatives markets like options and futures and get adequate capital requirements and transparency instituted on exchanges. I’m confident that market officials will penalize the wrongdoers so we can safely put away the pitch forks and pull out more transparent glasses to oversee the industry with. DISCLOSURE: Sidoxia Capital Management and its clients do not have a direct position in Goldman Sachs (GS), AIG, Berkshire Hathaway, BRKA/B, Citigroup (C), Enron, General Motors, GMAC , Chrysler, WorldCom, or Tyco International (TYC) shares at the time this article was originally posted. Sidoxia Capital Management and its clients do have a direct position in Bank of America (BAC). No information accessed through the Investing Caffeine (IC) website constitutes investment, financial, legal, tax or other advice nor is to be relied on in making an investment or other decision. Please read disclosure language on IC “Contact” page. Entry filed under: Banking, Government, Politics. Tags: AIG, CDS, Citigroup, compensation, Credit Default Swap, Kenneth Feinberg, regulation, say on pay.